What's the first second thing you crave when it's so hot that even the sidewalk is melting and your version of a mirage includes an abandoned Häagen-Dazs ice cream truck, a vacant neighborhood, and a spoon? 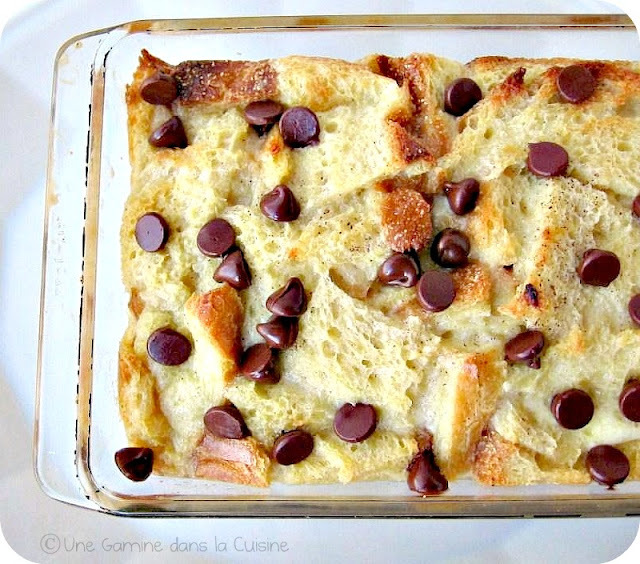 If, like me you're slightly off, then the answer is bread pudding. If it's any incentive, this bread pudding is tipsy, very tipsy (I added more than what the original recipe called for). It may be 100+ degrees outside, but you can still treat yourself to some boozy, cozy comfort food. If you simply can't bring yourself to break a summer taboo, just hang onto this recipe for a few more months, and enjoy this time of year while it lasts. Prepare the bourbon love: In a large mixing bowl, whisk together the eggs, salt, sugar, cinnamon, nutmeg, vanilla and bourbon until very smooth. Add the half-and-half and mix well. During the long wait, give it a good stir now and then, and be sure that all the chunks of bread remain submerged. Grease a 9 1/4 x 5 1/4 x 2 3/4-inch loaf pan with butter. Bake until the pudding is set in the center, about 55 minutes. This is best enjoyed while it's still warm, but a scoop of vanilla ice cream is highly recommended! 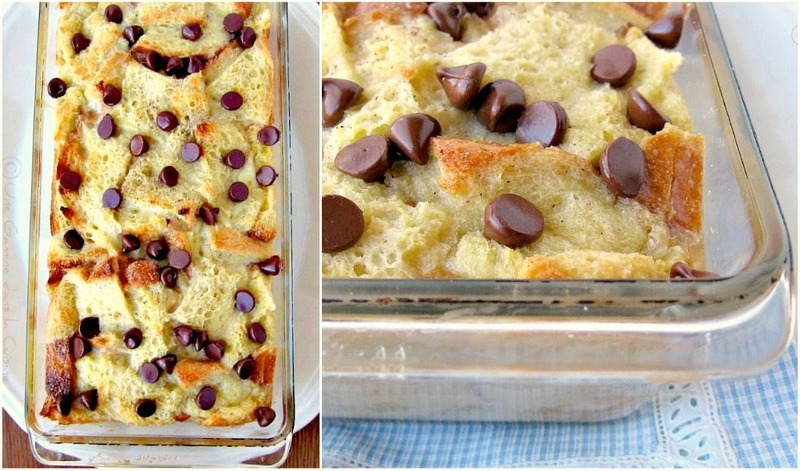 The pudding will puddle a bit at the bottom of the pan, and you don't want to miss out on any of that action, so just use a large spoon to scoop it out and pour the love over the bread. This looks like a gourmet dish! Very fancy! 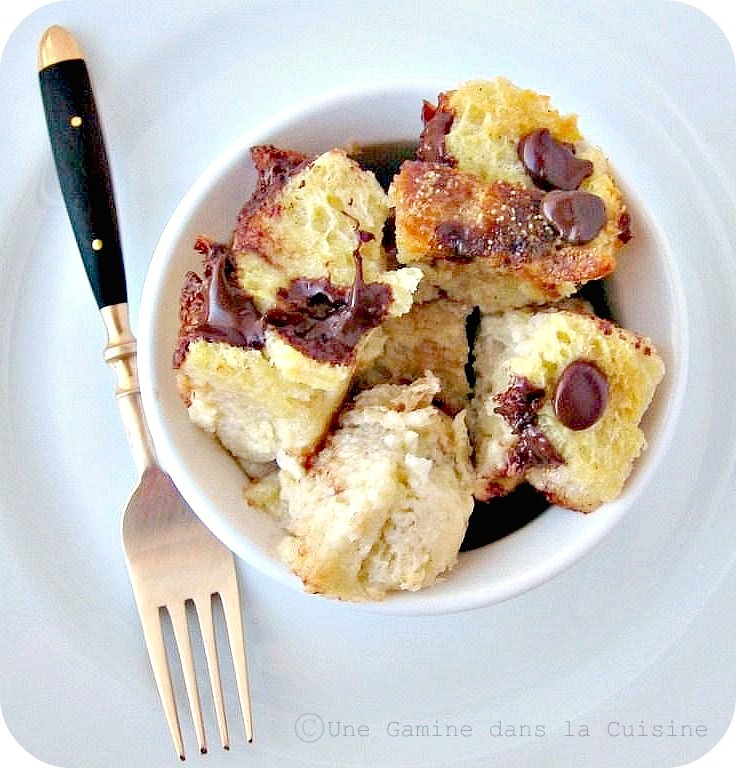 Mmmmhhh, bread pudding is so irresistible, especially if it's boozy! Yours looks divine. THIS IS MY FAVOURITE PUDDING! I swear, you are my idol! Its the one i go for whenever we eat out, I have never tried making it because it would just be far too dangerous for me to be able to have it whenever i wanted, but your boozified version is serrriouusllly tempting me to break my self-imposed ban. Gorgeous!! I don't know what it is about bread pudding. For some reason, it has never appealed to me. But you are right about everything when it comes to desserts, so maybe I should give this a shot! Love this boozy rendition - I'll definitely add the raisins though for that rum&raisin kinda vibe. Weird! Delicious, but not for me at this time of year! I've actually been making ice cream, even though I don't love it. I will definitely be making this come winter though, because up here it really does last forever, no matter how old you are! OMG.. who wouldn't love Boozy Bread Pudding!